The timetable for the local elections has been announced. On Thursday 3 May, we will elect Councillors to Leeds City Council. Because there have been boundary changes to the wards, we will elect all 99 members of the council this year. With three councillors in each ward, that means we will each have three votes to cast. Each party will be able to stand up to three candidates in each ward, but you don’t have to cast all your votes for candidates from the same party. And if you can’t find three candidates you like, you don’t have to use all your votes. To get back to the usual routine of electing one Councillor in each ward each year, the winning candidate with the highest vote will be elected for three years. The second highest winner will be elected for two years and third winner will be elected for one year. After that we get back to Councillors being elected for a four year term. In order to vote in the Council elections you must be registered to vote. If you are not registered yet you can do it very quickly online at: www.gov.uk/register-to-vote you will need your National Insurance number. If you’re not sure whether you are registered you can check by emailing electors@leeds.gov.uk. To vote in the Council election you must register by Tuesday 17 April. If you can’t get to a polling station to vote on 3 May, you can apply for a Postal Vote or a Proxy Vote (where you nominate someone to vote on your behalf). 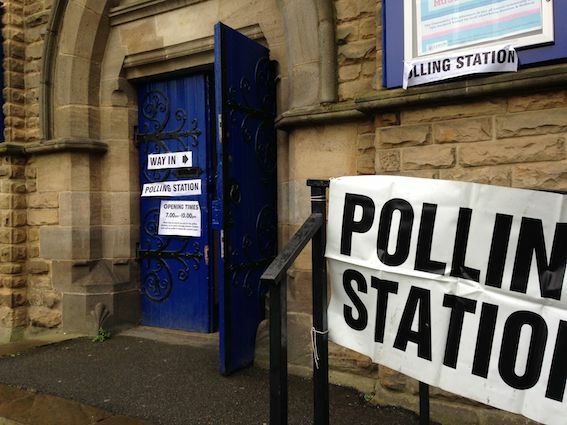 Applications for postal and proxy vote must be made to Leeds City Council by 5pm on Wednesday 18 April. If you wish to stand as a candidate to become a Councillor, you must hand in your completed nomination papers by 4pm on Friday 6 April. Details of all the candidates will be published by Leeds City Council once nominations have closed. South Leeds Life will publish those details on our website. We have three wards in South Leeds. There have been some boundary changes including extending Beeston & Holbeck ward to cover the ‘Holbeck Urban Village’ area around Water Lane and Marshall street. 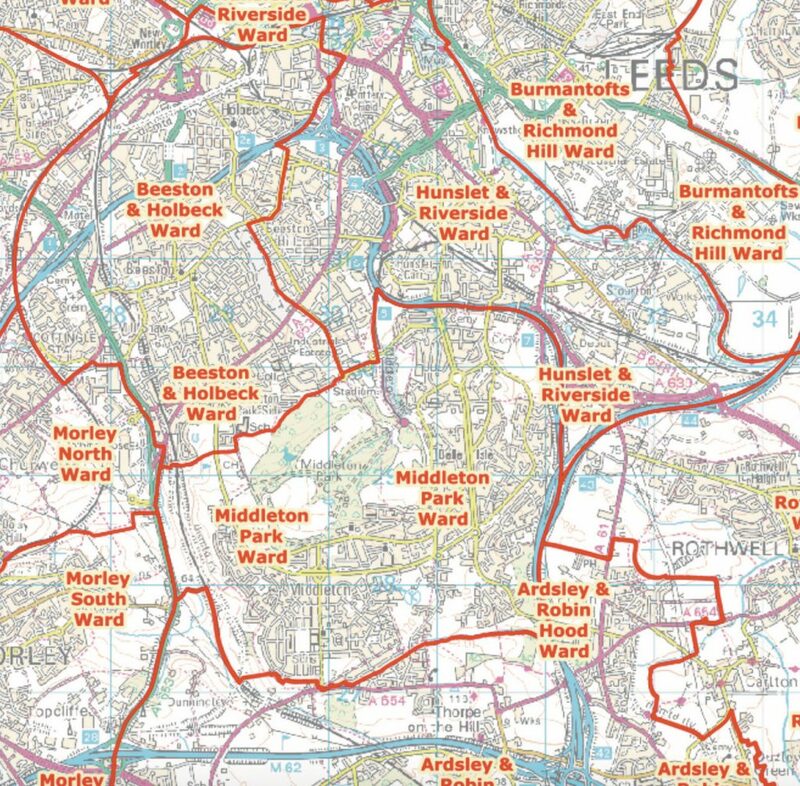 The old City & Hunslet ward has lost most of the city centre and been renamed Hunslet & Riverside Ward. There have been only minor changes to Middleton Park Ward. Beeston & Holbeck Ward includes: Beeston ‘above’ Cross Flatts Park; the Allenbys, Southleighs and Parkwoods; part of Beeston Hill west of Beeston Road; Cottingley Hall estate; ‘Old’ Holbeck and ‘Holbeck Urban Village’. Hunslet & Riverside Ward includes: Hunslet as far south as the M621; Beeston Hill between Cross Flatts Park; The M621 and Beeston Road; some parts of the city centre as far north as Boar Lane and East Street; Stourton. Middleton Park Ward includes: Belle Isle estate; Middleton as far south as Throstle Terrace.